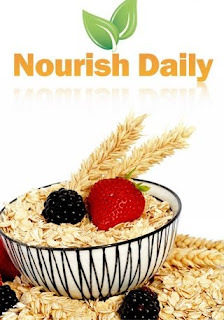 Nourish Daily is a new iphone app which provides daily nutrition guidance including nutrition tips, portion size guidance, personalized menus, shopping lists, and a Body Mass Index (BMI) calculator. The nice thing about this tool is that it is developed and maintained by a Registered Dietitian, which makes you feel like you have your own nutrition professional advising you based on your individual needs. The application helps to make nutrition and optimal health simple, practically effortless and totally possible. This is certainly a tool to check out. You can get more information at Nourish Daily or find the application by searching the iTunes store.